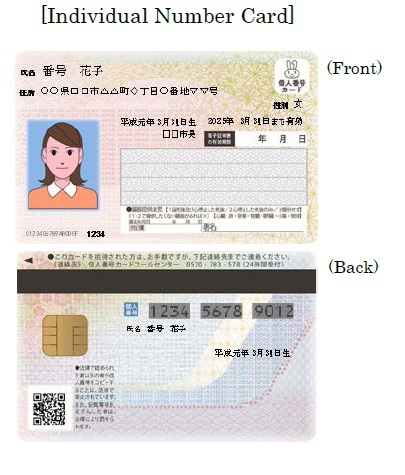 The Individual Numbers(マイナンバー), each one unique to its holder, are important because they are required for procedures at municipal offices, etc. Starting at October 2015, your municipality has mailed an envelope to your residence (at the address registered therewith). 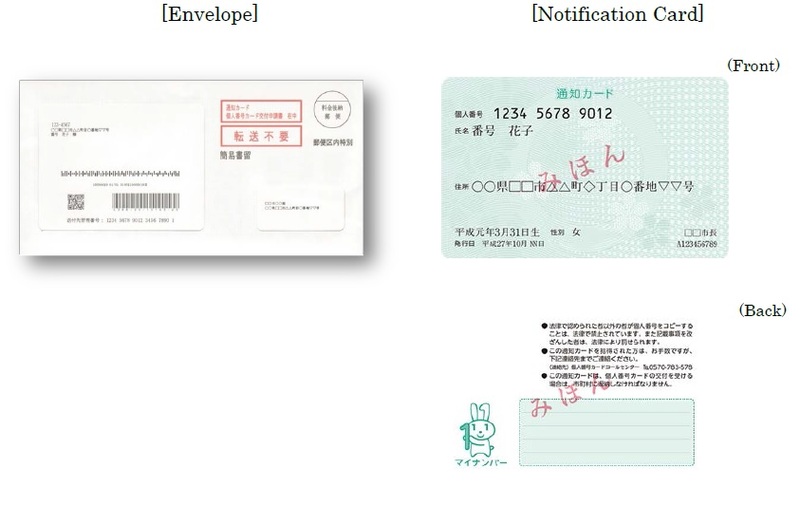 The envelope contains a “Notification Card”(ツウチカード） with your Individual Number on it. Handle your Individual Number(マイナンバー） with care! Keep your Notification Card at hand and be careful not to throw it away or tear it. To avoid illegitimate use of your Individual Number, do not tell it to others except as required. “Individual Number Cards”（個人番号カードKojin　Bango　ka-do) will be available! 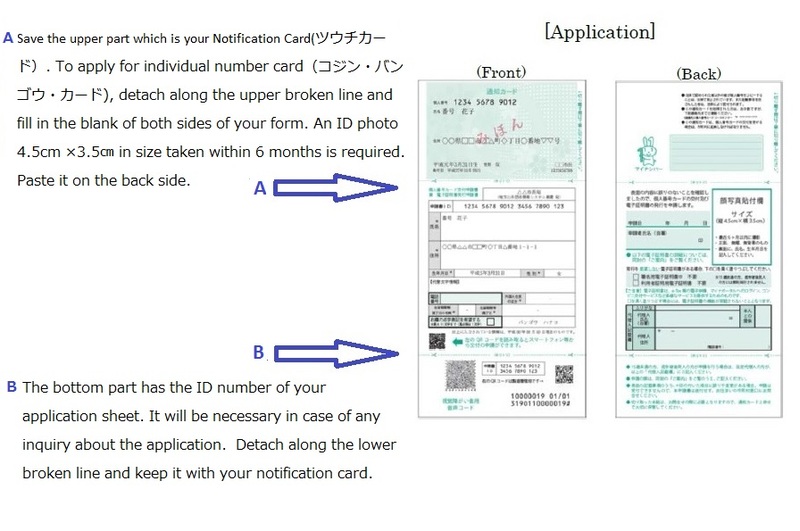 Your “Individual Number Card” also serves as an ID card bearing your Individual Number. In some municipalities, convenient options like having convenience stores issue residence certificates are available.